Sometimes, you just need a change. Ryan Newman isn’t making headlines like he once did, but there’s no reason to think he’s washed up either. 2019 will find the Rocketman somewhere else as he’s announced he’s leaving Richard Childress Racing, the team he’s been with since 2014. One can only guess where things go from here with the 31 car at RCR, who will occupy it, and what happens with Ryan Newman. At 40, he’s no kid, but is there any reason to think he won’t land somewhere else? When looking at recent fortunes for Newman, and for RCR as a whole, it begs the question of how much of the lack of success is the organization, and how much of it is the driver. Not unlike Jack Roush, Richard Childress has gone from being one of NASCAR’s premier teams, to more of an also-ran. It seems like a million years since the days of Dale Earnhardt, Kevin Harvick in the 29, and the solid careers of Jeff Burton and Clint Bowyer there. Austin Dillon has some success here and there, but he’s not yet found himself on the same footing as other young drivers like him. As for Newman, there’s some open seats around, but many driver departures are being followed with a shutting down of said team. Finances are driving much of the change, and the ability of the driver to resurface somewhere else is equal to that driver’s ability to bring sponsorship money with him. While he doesn’t grab as much spotlight as some others do, Ryan Newman has done well with many of the brands he’s represented. In the same way that the firing of a coach is sure to follow a losing season, a dry spell for a driver often precedes a moving on. 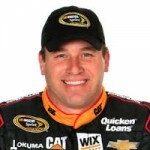 To that end, the separation of Ryan Newman and Richard Childress Racing is not unexpected. What happens next will be intriguing. 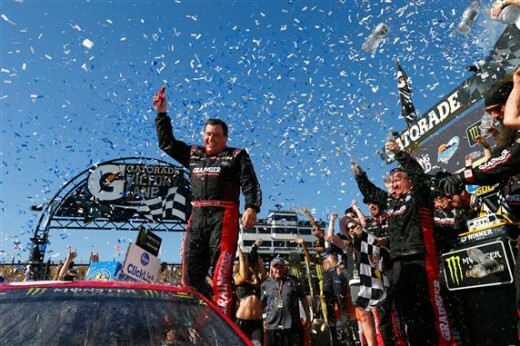 Can Richard Childress Racing Get Back To Victory Lane?